Lyrical hip hop dance class is suitable for anyone who loves expressive dance moves! 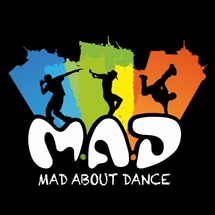 Suitable for both kids and adults, this exciting experience gives you a chance to learn all the cool lyrical hip-hop dance moves for a full song in 8 sessions. The choreography is meant to look as if you are telling a story, with a mix of robotic isolations, hard stops, dramatic collapses, and floppy bounces, it is tailored to bring the song’s message to life. Join now and shake it out with this urban-street-style dance!